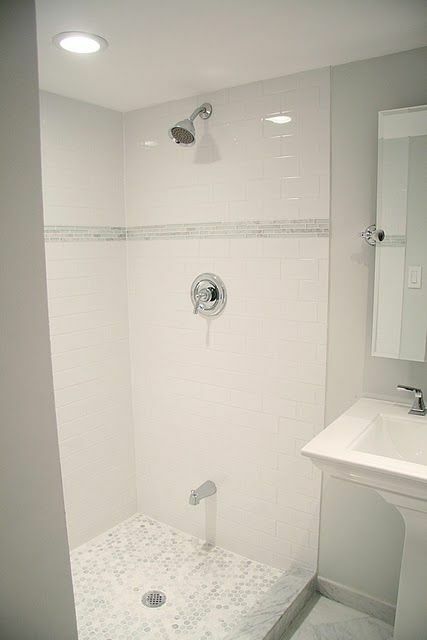 I’ve been seeing a lot of tile accents in bathrooms lately. I think it’s a clever and inexpensive way to add a little detail and oomph. What do you think? 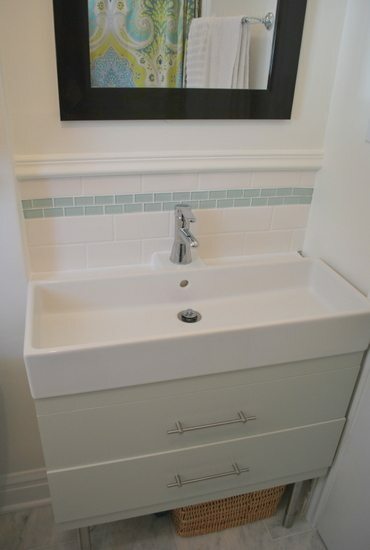 Trendy or a smart way to add some character to the bathroom? 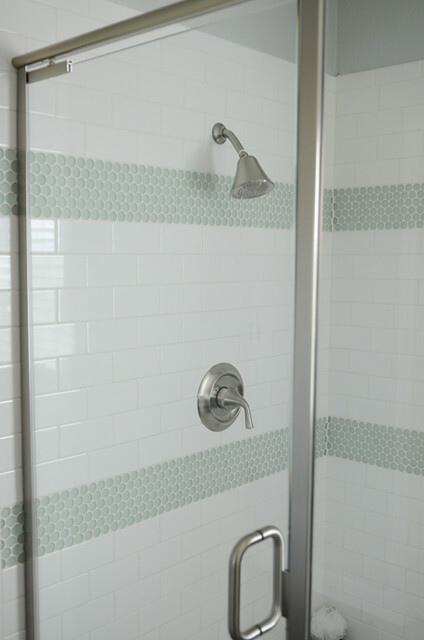 Will tile accents be around to stay or will they go the way of the painted accent wall? 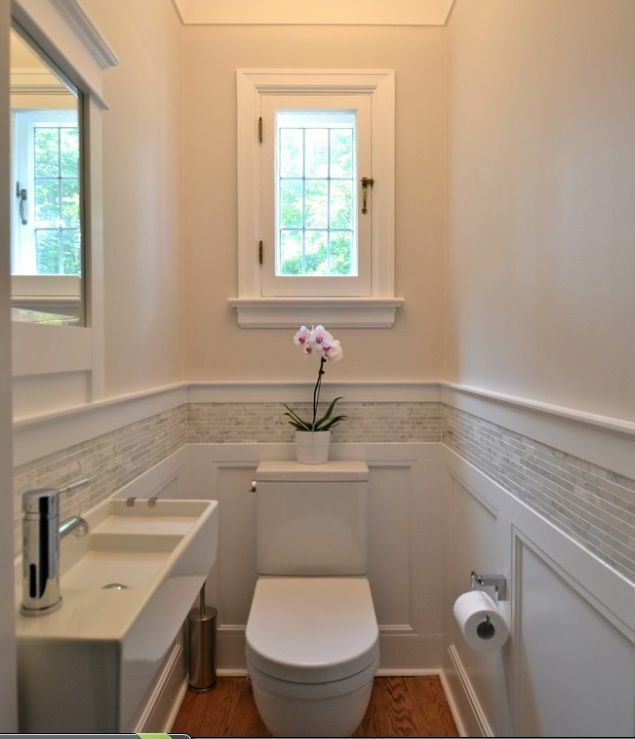 I like it but have a feeling it will be more of a trend that dates a bathroom in the long run. I'm about to gut my bathroom and plan to use a strip of accent tiles. We plan to stay very neutral, but add the glass accent to jazz things up a bit. I hope it doesn't look too out of date in the short term. At least it will show future buyers that we completely redid the bath, even if they don't love the style. I think she has some very valid points and based on that I can only say I like the first one of the photos. I think the rest will be dated to soon or locks you into one color scheme which is never good. 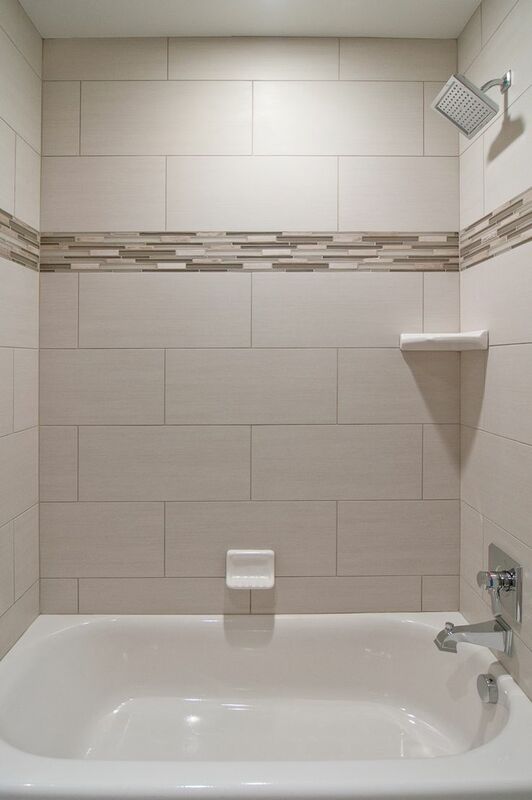 I love tile accents, so I hope they'll be around to stay. :) Penny tile is probably my favorite! hello Melissa! I'm Terry from the curators collection. I just wanted to let you know I have featured your encouragement for the week on my blog. Thank you for your inspiration! Love it all! I played it safe and didn't do this, but I love the look! I'm so excited for you Melissa! I just know your home will be amazing no matter what you do! Thanks for featuring my little bathroom, Melissa!! This roundup is beautiful eye candy.